Imagine having to put your cut flowers to bed at night, tucked up in a warm blanket! 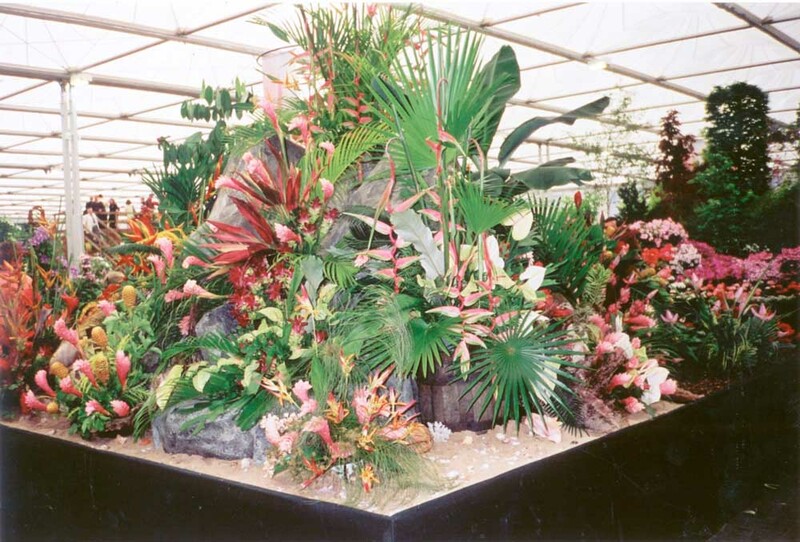 This is what happens when tropical blooms are flown from the Caribbean to London for the 181-year-old Chelsea Flower Show. They cannot survive in temperatures below 55°F, and London in May can freeze overnight. So they are swathed in a light blanket and tucked up for the night. London’s Chelsea Flower Show is the world’s most famous. It is held on the 21-acre grounds of the Chelsea Royal Hospital by The Royal Horticultural Society (RHS), founded in 1804. 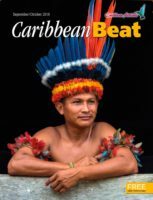 Only 170,000 tickets are available for the four days; 15% of the exhibitors are from overseas, from as far afield as Australia, South Africa, the USA — and the Caribbean. It is the first event of the London “season” — most of the Royal Family turns up, and celebrities join the crowds to see and be seen by the television crews and newspaper reporters. The coveted RHS medals at Chelsea are awarded in style. Eight to 10 judges scrutinise every exhibit, then meet in the evening (perhaps over a good dinner) to reach their decisions. At midnight, RHS officials roam the deserted gardens and pavilions to pin up the awards on winners’ sites. Exhibitors have to wait till early next morning to discover if there is a medal waiting on their stand. 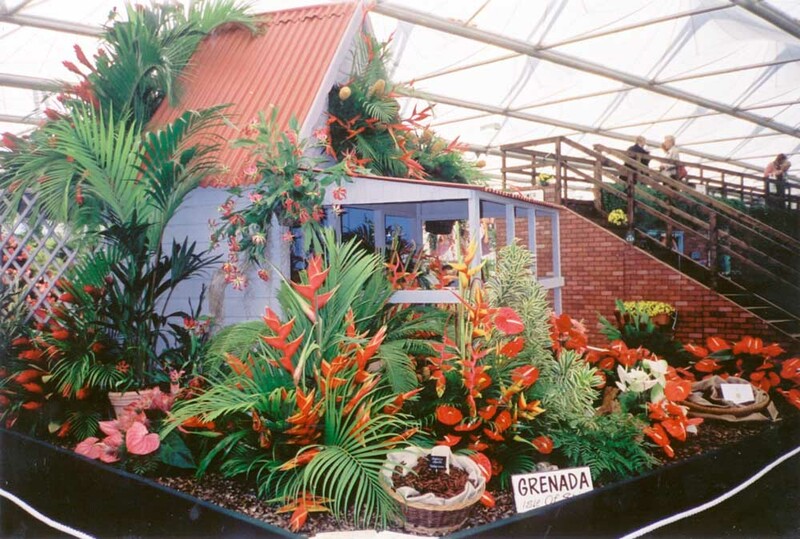 Regular Caribbean exhibitors at the Royal Chelsea Flower Show include Barbados, Grenada, Jamaica and Trinidad and Tobago. 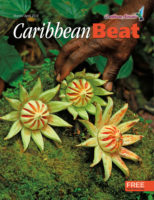 Trinidad and Tobago was the first to exhibit, back in 1974 when Ernest Moll set off on his own with hundreds of orchids, enlisting London-based Trinidadian George Black to help organise a “band of willing slaves” to stage the exhibit. Then there was a gap until 1984, when the Barbados Horticultural Society (BHS) arrived. 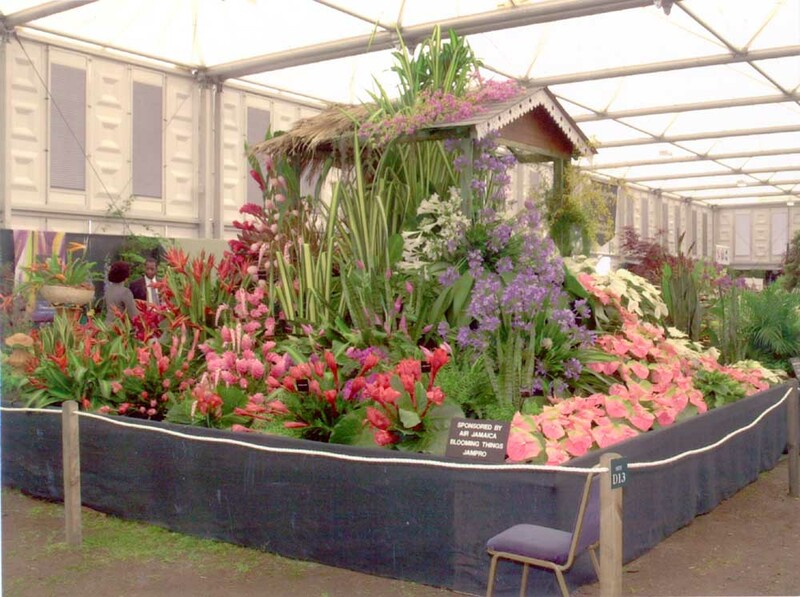 But recognition did not come until 1988, when Jean Robinson, President of the BHS, having battled for sponsors and begged for flowers, organised a proper exhibit, and was rewarded with a Silver Gilt medal (second place). It was richly deserved: the Barbadian team had arrived in London tired and jet-lagged, to find that their hotel bookings had been cancelled. They spent the rest of the day driving around London in search of a reasonable hotel (near impossible to find in London during Chelsea Flower Show week), pursued by a van loaded with 45 boxes of precious flowers. The BHS, established in 1927, is now a regular exhibitor. Queen Elizabeth has often shown an interest in the Barbados exhibit and its small mauve anthuriums and tube roses with their delicious perfume. “Do you really bring all these flowers from Barbados?” she asks. Grenada first came to Chelsea as part of a Windward Islands team in 1989, which exhibited in the Great Marquee for three years before having to drop out due to problems with funding. 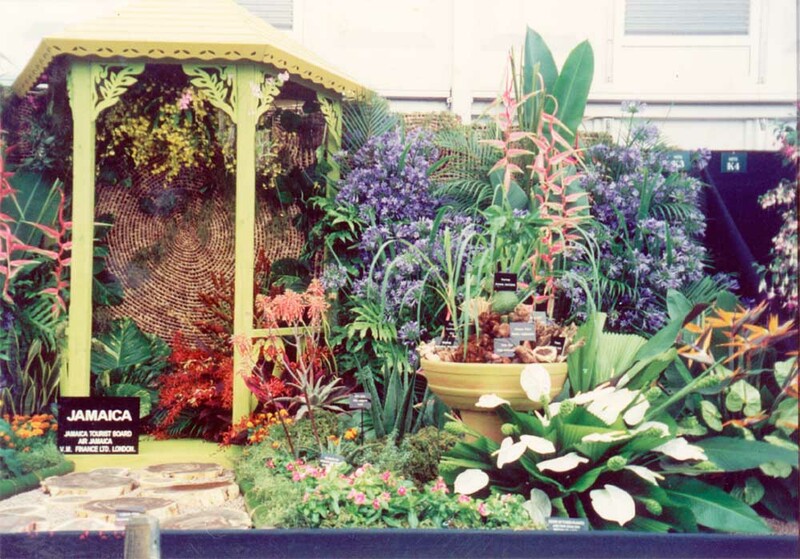 Despite not having attended the Show since 1992, the publicity from those visits still generates tours from horticulture clubs in the UK, Canada and the USA, who pay well for a holiday that incorporates garden visits in the Windward Islands. But Grenada now has its own presence at the Show. Grenadian Suzanne Gaywood, who had married an Englishman and created a small patch of Grenada in her garden in Maldon, Essex, now exhibits for Grenada, backed by Grenadian flower-grower Denis Noel. Denis concentrates on ginger lilies, heliconias and other ornamental species; his Grenada farm exports cut flowers to Miami, New York, Washington DC, London and Frankfurt. He provides 80% of the flowers for Grenada’s Chelsea presentation. Suzanne has gathered a really enthusiastic team around her, and has won three Bronze medals, seven Silver medals, two Silver Gilt medals, and, in 2001, the ultimate award, a Gold for Grenada. Jamaica joined the Caribbean exhibitors in 1996 at the instigation of Jamaican Pearl Wright, who first visited the Show in 1953. 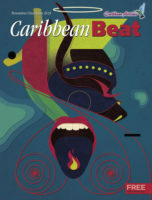 Returning to London in 1995, she was delighted to find exhibitors from other Caribbean islands — but where was Jamaica? 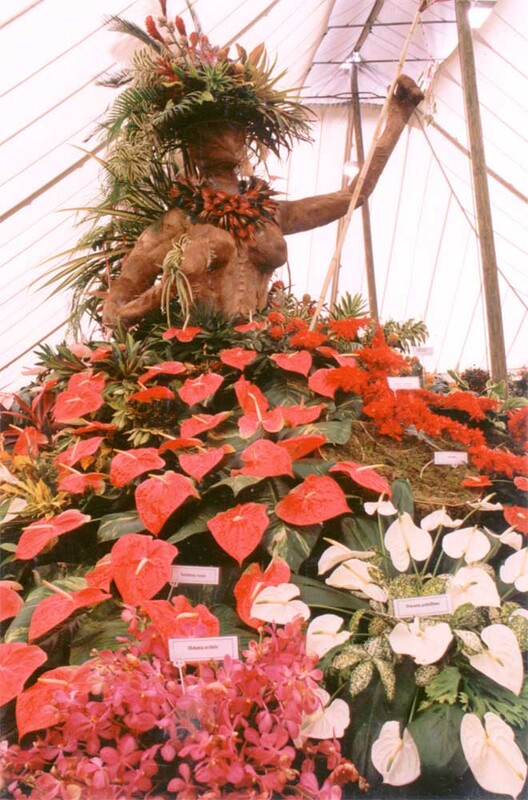 The Jamaica Horticultural Society (JHS) and the Jamaica Tourist Board (JTB) helped to put together funding for a team of four to attend the 1996 Show. The famous waterwheel on the Tryall golf course was used as the focus of an exhibit with spectacular Agapanthus lilies, and on that first attempt Jamaica won a Silver Gilt medal (second place). The Jamaica Tourist Board and Air Jamaica then took over as sponsors, with support from JAMPRO, the Jamaica Producers Shipping Company and VM Finance UK. Since 1998 Jamaica has gone on to achieve a further Silver Gilt and three Silver medals. Patrick Waldemar, an artist who regularly exhibits in both Jamaica and the USA, has designed each exhibit since 1998. Because of its terrain and altitude, Jamaica can exhibit temperate and sub-tropical as well as tropical flowers. 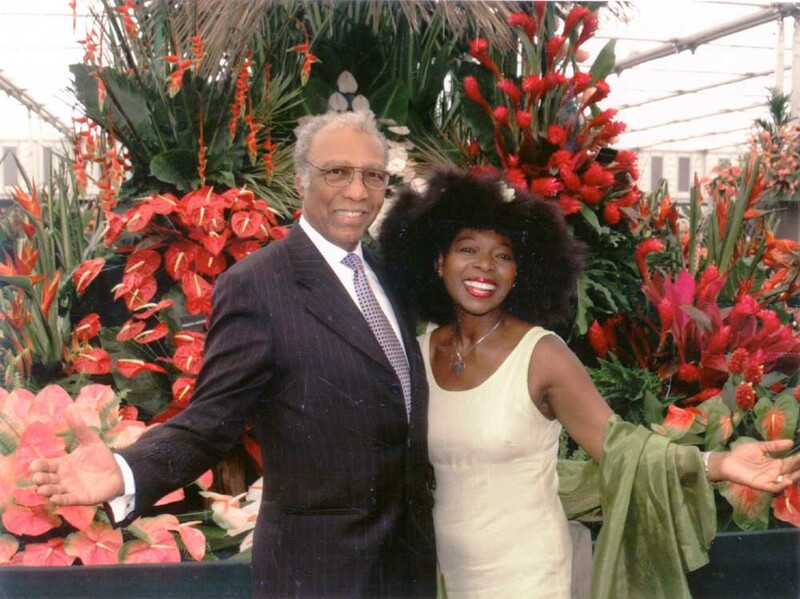 “The entire horticultural family in Jamaica is involved in the Chelsea Flower Shows,” says Pearl, who last year was featured in a BBC television documentary. 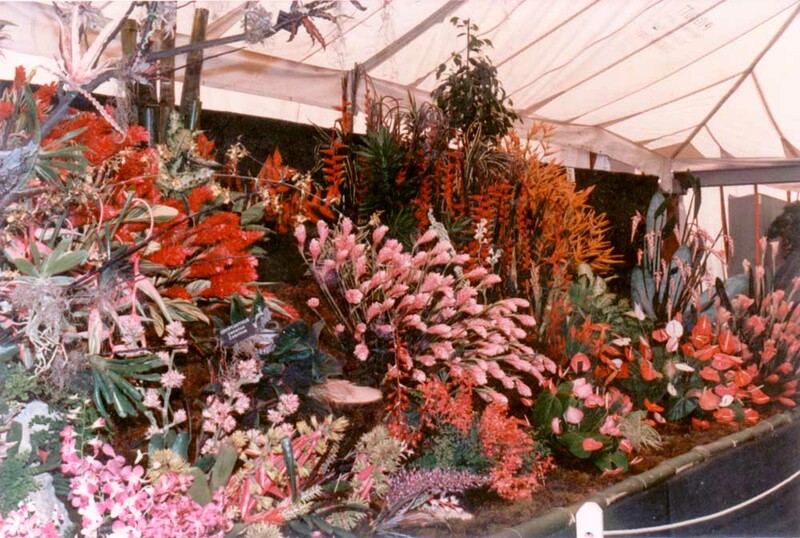 The St Andrew Flower Arrangement and Garden Club, founded in Jamaica in 1966, is also part of the Chelsea Flower Show these days. Although its members are “amateurs” competing against the professionals, they have been fast learners since their first exhibit in 1996. This year visitors were extremely happy to sample their rum punch, as well as their Grace Kennedy Tropical Fruit Punch, and raved over their green banana chips. It may have been these extras that helped to get coverage on prime-time television and national newspapers, as well as write-ups as far away as The Los Angeles Times. Since Ernest Moll’s visit in 1974, Trinidad and Tobago has visited Chelsea 11 times, winning two Gold medals, six Silver Gilts, two Silver and a Bronze. 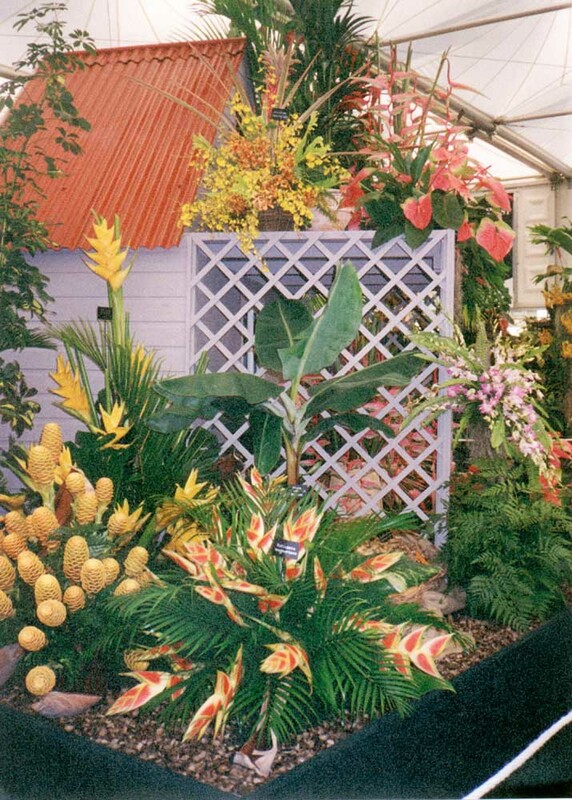 The last three exhibits have been designed by Joan Wilson from the Horticultural Society of Trinidad and Tobago (HSTT) — which also exhibits at Hampton Court, where it has achieved further successes with two consecutive Gold medals (2000, 2001) and a Silver Gilt in 1999. Flowers and foliage for Chelsea are provided by growers in Trinidad and by HSTT members who denude their gardens of every last bloom and bud. One year, a Chelsea visitor wanted to buy a palm tree from the exhibit, asking “How much taller would it grow indoors?” Not much, in fact — the tree was handmade, its cardboard trunk covered with coconut fibre and real leaves. 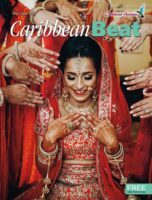 For all the exhibitors from the Caribbean, the main concern — after raising the funds — is whether the flowers will be in full bloom for Chelsea. They must be without blemish, and carefully treated to guarantee pest-free arrival. The temperature in the aircraft’s baggage compartment has to be exactly maintained. Disasters can strike. In 1989, the Trinidad and Tobago team was about to take off for London when there was a bomb scare (a hoax, of course). Passengers and baggage were disembarked, along with the boxes of flowers and foliage. There was nothing anyone could do. The team arrived in London a day late; some of the flowers had wilted; nevertheless a Silver Gilt was won. The Barbados team has twice had its boxes of flowers disappear on arrival — once they were found abandoned in a cargo warehouse. The week of the Show is always hectic, with early set-ups, all-day crowds and late finishes. It is easy to find yourself finishing work at 4.30 a.m., with no public transport, and no telephone to call a taxi. That is what happened to the St Andrews Club team one year. They were sitting somewhat miserably at the Bull Ring, otherwise known as the exhibitors’ show entrance, when the police pulled up and demanded to know what they were doing. 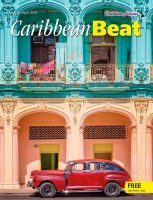 Luckily, the Jamaicans struck a sympathetic chord in the officers’ hearts and eased their suspicions: within a minute a taxi arrived to take them to their hotel. 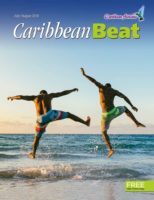 In addition to finding accommodation within reach of Chelsea, Caribbean exhibitors can find the weather a trial. In May, London can be freezing, wet and blustery, but it can also produce a heatwave. When it’s hot in London, 75° feels like 100°; under the canvas in the Floral Halls at Chelsea, with the crowds of people thronging the aisles, exhibitors feel as if they are in a hothouse. It’s not just the visitors who faint, but the flowers too. Urgent resuscitation is required with buckets of cold water to dunk the blooms in, and constant misting. When it’s cold, on the other hand, and the anthuriums turn black, kettles of hot water are needed. Exhibitors may have to tuck up their specimens at night under a warm blanket with a hot drink — or give them a cold shower. The benefits for Caribbean countries exhibiting at Chelsea are huge, not just in terms of niche marketing for the ever-growing army of gardening enthusiasts, but for the retired, young-at-heart, fit-as-a-fiddle population with time and money to spend in pursuit of enjoyment and personal interests. 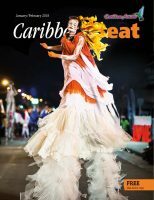 Visitors to Chelsea appreciate the warmth of the personalities and hospitality at the Caribbean stands. One very elderly Indian visitor to a Trinidad and Tobago stand was overcome by the sight of Divali-inspired clay deyas with heliconia tips to depict the flames: she had last seen a deya 40 years before in India, when they were used to sell coffee to commuters at train stations. The value of coverage on television and radio, in newspapers and glossy magazines, cannot be calculated. Quite apart from the wealthy leisure market looking for exotic holidays with the added interest of beautiful gardens and unique flora, international flower buyers use the Chelsea Flower Show to meet suppliers of rare and exotic cut flowers who can help satisfy world demand. 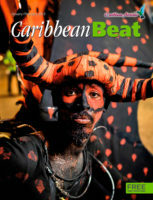 In a sea of pastels at Chelsea, the vivid colours of the Caribbean draw both the crowds and the media.